Cooper Complete® Vitamin B12 supports healthy nerve cells and energy production. Those at risk of B12 deficiency are individuals age 60 and older, strict vegetarians and people with pernicious anemia. Each bottle contains 30 servings. Brought my lab numbers up to normal after 6 weeks. Much more energy. The B12 is essential for mode and energy enhancement and Cooper Complete Omega has the highest levels of DHA and EPA (heart and brain protection) I love both products. The doctor suggested I start taking B12 based on my lab results from my annual physical last year. He also suggested I find it in liquid form or a tablet I could place under my tongue. I knew the reputation of Cooper Complete vitamins and started there. I can tell a difference in my energy level. Automatic delivery takes away all the worry about having it available when I need it. Vitamin B12 is naturally found in animal products such as fish, poultry, meat, eggs or dairy. Breakfast cereals and enriched soy or rice milk are also often fortified with Vitamin B12. Both beef liver and clams, an odd combination, have incredibly high levels of this vitamin, and salmon and trout have good levels. This vitamin also naturally occurs in chicken, tuna, yogurt, milk, eggs, and cheese. Vitamin B12 is also found in virtually all multivitamins, as a standalone vitamin, and in prescription form. With age, stomach acid levels decline and this can cause a Vitamin B12 deficiency. In addition, many older adults trend towards a diet with less animal and dairy products, and the combination of changing diet and lower stomach acid levels can cause a deficiency. For these reasons, Cooper Clinic regularly measures B12 blood levels in patients over the age of 60 and in others who might be at risk. Symptoms of Vitamin B12 deficiency include memory issues, moodiness or depression, muscle weakness, extreme fatigue, low blood pressure, numbness or tingling in arms and legs, shakiness, an unsteady gait, and incontinence – the same exact symptoms that mimic the downside of aging for many. 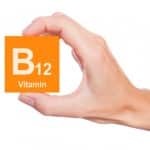 For this reason, and because it’s possible to have only one or two of the symptoms and still be deficient, our recommendation is to consider B12 deficiency if any of the symptoms exist. Vitamin B12 is important for metabolism, the formation of red blood cells, and the maintenance of the central nervous system, which includes the brain and spinal cord. Working in combination with Vitamin B6 and Vitamin B9 (folic acid), B12 plays a key role in converting homocysteine into methionine, one of the 20 or so building blocks from which the body builds new proteins. 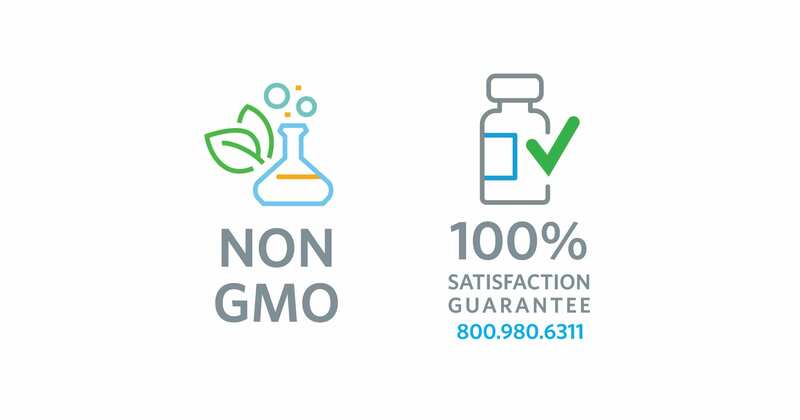 This product contains NO yeast, wheat, gluten, soy, milk/dairy, corn, starch, artificial coloring or genetically modified organisms (GMOs). One dropper (1 ml) provides 1,000 mcg Vitamin B12 (methylcobalamin). Each bottle contains 30 servings. Natural cherry-flavored liquid. Suggested Usage: As a dietary supplement, take 1 dropper (1 ml) daily or as directed by your health care professional. WARNING: If you are pregnant, nursing, have any health condition or take any medication, consult your health care professional before using this product. In what foods is vitamin B12 found? Vitamin B12 is naturally found in animal products (such as fish, poultry, meat, eggs, or dairy). Breakfast cereals and enriched soy or rice milk are also often fortified with B12. Both beef liver and clams, an odd combination, have incredibly high levels of B12, but omega-rich salmon and trout have good levels, and there is some B12 in chicken, tuna, yogurt, milk, eggs and cheese. B12 is also found in virtually all multivitamins, as a standalone vitamin, and in prescription form. Is there Vitamin B12 in Cooper Complete multivitamins? Yes, all of our adult formulations (Cooper Complete Original, Elite Athlete, and Basic One) contain 400 mcg Vitamin B12 per daily serving. How do I know if I should take supplemental Vitamin B12? The only way to know for sure if your B12 level is low is to get a blood test. The accepted range for B12 is between 254 and 1,320 picograms per milliliter of blood serum. Cooper Clinic physicians like to see levels at of least 450 picograms per milliliter of blood serum or higher. Who is at risk for having a Vitamin B12 deficiency? As Vitamin B12 is only found naturally in animal products, vegetarians, vegans, and those who consume very little animal protein, milk, or dairy should supplement to avoid a Vitamin B12 deficiency. Those with “pernicious anemia” are also often Vitamin B12 deficient, as are heavy drinkers, and those who have had weight loss surgery. As stomach acid helps extract the Vitamin B12 from food, those who take proton-pump inhibitors (like Prilosec or Nexium), H2 blockers, or other antacids regularly to reduce stomach acids may have a deficiency. With age, stomach acid levels decline. In addition, many older adults trend towards a diet with less animal and dairy products, and the combination of changing diet, and lower stomach acid levels can cause a deficiency. For these reasons, Cooper Clinic regularly measures B12 blood levels in patients over the age of 60, and in others who might be at risk. What are symptoms of a Vitamin B12 deficiency? Symptoms of B12 deficiency include memory issues, moodiness or depression, muscle weakness, extreme fatigue, low blood pressure, numbness or tingling in arms and legs, shakiness, an unsteady gait and incontinence – the same exact symptoms that mimic the downside of aging for many. For this reason, and because it’s possible to have only one or two of the symptoms and still be deficit, our recommendation is to consider B12 deficiency if any of the symptoms exist. Researchers have reported that these symptoms may occur when vitamin B12 levels are just slightly lower than normal and are considerably above the levels normally associated with anemia. Vitamin B12 Deficiency: Are you getting enough?